Couple things wrong in this article. Rupture of the carotid artery usually will not cause a haemorrhagic stroke. Unless it is very close to the junction with the Circle of Willis. Their definition of ischemic stroke is completely wrong. One of my carotid arteries is completely closed up and that closure caused zero problems. This next line means your doctor and therapist have absolutely nothing to do with your recovery. Experts believe that post-stroke therapy or rehabilitation is the only sure-shot way a stroke patient can overcome, to a considerable extent, any deficits that the stroke may have caused in its wake. On a warm sunny afternoon in October 2014, Kuldeep Thakur, then 28, had just returned to his swanky office in Thane, off Mumbai, after a meeting when he felt slightly dizzy. He thought of grabbing a bite, but before he could walk down a few steps to the office cafeteria, he fainted. His colleagues rushed him to the nearby Jupiter hospital, where it was found that he suffered a stroke. Two days after high sedation, when he regained consciousness, he found his right side, including limbs, arms and torso, paralysed. For a young man, with an athletic build and an active lifestyle involving occasional hiking trips with friends, this came as a shock to him and his family. “I was frustrated and enraged with everyone, and with my life in general,” says Thakur. Thakur had suffered a haemorrhagic stroke, in which the carotid artery that carries blood and oxygen to the brain ruptures, leading to leakage of blood around the brain. This excess blood, if not removed, can cause the closed brain to swell and shift from its place, eventually leading to death. To prevent that, his skull was removed to access the brain, and a surgical clip was placed at the ruptured artery to stop bleeding. Thereafter, the skull was placed back in about two months. For months thereafter, Thakur was confined indoors; he could not open his right fist nor lift his right leg. 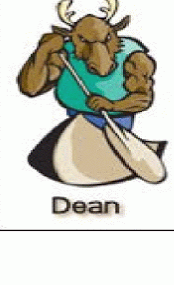 Though he could move his left side, he felt extremely weak. He soon went into a shell and kept to himself most of the time. But that was four years ago. Today, the 32-year-old international business graduate walks 3km every day without difficulty, uses the treadmill and lifts dumbbells with his right hand with a fair amount of ease. He is back at work, supervising the marketing and sales department in his father's real estate firm, and is also planning an adventure trip with friends later this year. Likewise, late last year, an acute stroke left the right side of Dr Meeta Mehta's body paralysed. The Mumbai physician was talking to her daughter over the phone when suddenly her words slurred. She began mumbling involuntarily and her mouth drooped to the left. 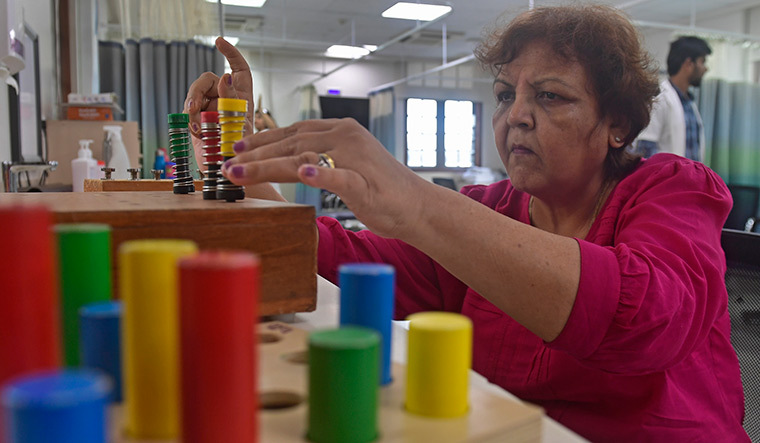 Mehta, 61, realised it was the beginning of a stroke and got herself admitted to the Sir H.N. Reliance Foundation hospital. “Stroke came as a sudden shock to all of us. I felt helpless. All I wanted was to get out of the hospital and get going to my clinic,” she says. Today, she is back on her feet. Thrice a week, she travels from her apartment at Napean Sea road in south Mumbai to her clinic in Andheri without assistance to attend to her patients, each one of whom she remembers by name along with the diagnosis she had given them. Like Thakur, Mehta too, put up a tough fight against stroke. 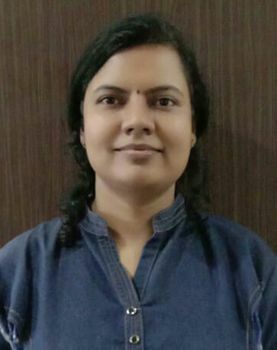 She got into an aggressive post-stroke rehabilitation programme, starting from the second day of hospitalisation after she was diagnosed with an ischemic stroke—wherein a blood clot is found in the carotid artery that leads up to the brain, thereby hindering the supply of blood and oxygen to the brain. She had arrived at the hospital within 30 minutes of her first symptom of stroke and was immediately given the intravenous tissue plasminogen activator (TPA), a blood thinner to dissolve the clot and continue the flow to the brain. “The very next day, I felt so much better, as if nothing had ever happened,” says a beaming Mehta. To overcome that, neurologist Dr Poonam Bajaj, who planned Mehta's routine therapy, says she was given therapy that made conscious use of her left side. She was also given balance retraining exercises on various unsteady surfaces—she was made to train with Theraband stability trainers that can be used on the soles of the feet to improve limb positioning, joint stability, reflex action and agility. “We also made her learn to balance herself on the inclined wedge wobble disc and on the Bosu ball, which is an inflated rubber hemisphere that helps in improving one's gait and balance,” explains Bajaj. “Simultaneously, she would also step up and down the agility ladder, move her arms up and down repeatedly on the arm ergometer and try and cycle slowly.” Though fed up of repeating the same movements, Mehta boasts that she never missed a single session of therapy. Even today, she continues to attend Bajaj's 'Balance Class', where brain injury patients are provided props to improve their balance, gait and stability. Experts believe that post-stroke therapy or rehabilitation is the only sure-shot way a stroke patient can overcome, to a considerable extent, any deficits that the stroke may have caused in its wake. (So your doctor and therapists have zero responsibility for your recovery. Good to know they are useless.) The brain is a computer full of billions of electrical circuits, says Dr Abhishek Srivastava, a neurorehab specialist and head of centre for rehabilitation, Kokilaben Dhirubhai Ambani Hospital in Mumbai (the hospital has dedicated about 30,000sqft for rehabilitation). During a stroke, a specific part of a circuit dies or simply fuses and depending on which circuit was hit by the stroke, one can suffer from various deficits including cognitive, behavioural, speech and language (aphasia), ability to swallow (dysphagia), comprehension, vision, abnormal tone, sensory, sphincter problems (losing control over one's bowel movements), spasticity or rigidity in the limbs, and hearing, he explains. So, a brain stroke means that the control from any of the different circuits in the brain towards corresponding functions of the body is cut off, but the essential pathway between the brain and the rest of the body remains intact. Repeated exercises and therapy keep sending signals to the brain, and repeated signals force the brain to form alternative circuits and take over the function of the previous circuit, thereby bringing back the movement in the hands, limbs or any affected part. “This feature of the brain wherein the other part takes over the function of the affected part and gives back the movement and agility to a stroke patient is called neuroplasticity. This is a fairly new concept and scientists are only beginning to understand it now,” says Srivastava. His rehab team includes a psychologist who handles the cognitive functions, a speech language therapist who manages a patient's speech and swallow problems, a physical therapist who trains in mobility and lower limb training, an occupational therapist who helps in upper limb and self care training, an orthotist who makes braces and splints, and nutritionists and dieticians. Water work: A patient undergoing aqua rehabilitation programme at Jupiter Hospital, Thane. According to a study, if stroke patients stick to their exercise routine for one year continuously, half of them will be able to regain their mobility. The point is to identify the stroke early and treat it with therapy, because the brain can literally change in the first three to six months, leading to spontaneous recovery. Even when the brain cannot change, therapy can reorganise its functions. Motor functions come back within four months, if continued with therapy, as happened with Ganesh Narayanan, 52, who had been a smoker for 21 years. He started his rehab immediately post stroke, exercised every day and got back on his feet six months after hospitalisation. And barely a year and a half later, he undertook his first solo trip to Europe to continue work as an international corporate consultant in textiles. Narayanan was lucky as his wife noticed that there was something wrong with him one night in April 2012, and he was rushed to the nearby hospital. He was given IV TPA within 100 minutes of the stroke. “After that I was in the intensive care unit, and was discharged after eight days,” he says. Narayanan could barely move in the first few days. He needed help not just with walking but also for tasks like bathing. Yet, he persisted. He would try and walk with the help of a walker and bathe with a mug so as to be able to go down, raise the mug of water, come back up and pour it on himself and repeat. “Initially, my muscles would just not move. But gradually, they did,” he says. He started therapy at home—learning to raise his feet using a square wooden block, and later moving on to vertically arranged red bricks. “I was even asked to climb in and out of rickshaws, and accordingly, I would stop and pay the rickshaw to just do that every day,” he says. Narayanan's speech therapy involved writing the alphabet, followed by short words like cat and dog. For a man who was barely able to lift an A4 sheet or a newspaper with his right hand can now lift weights up to 9kg. After six weeks, Narayanan was able to climb to the first and second floor of his house, albeit with a limp. In about four months, he was able to walk without limping. Even today, he walks for 8km daily, coupled with yoga and reading of the Bhagwad Gita. 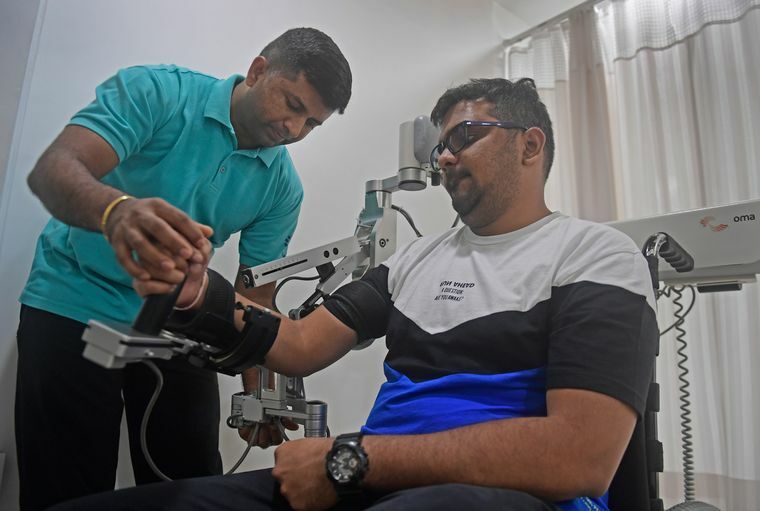 “Also, being fluent in six languages, may have helped him in recovering the impairment caused in his right brain, which is mainly concerned with creative faculties,” says Sunil Kumar Ravi, who has done his doctorate in speech and language pathology. Narayanan had to daily write a page with his right hand after the stroke, so as to improve his motor skills and he chose to write in French, Italian and Chinese. Narayanan says his diet played a role in improvement, too. “I would eat whole grains and drink lots of juices in the first two years and have one fruit in the afternoon,” he says. However, doctors suggest patients to have a healthy home-based diet without really restricting to anything in particular. 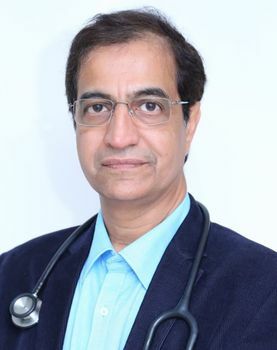 N. Shivashankar, who has a doctorate in speech-language pathology and hearing, National Institute of Mental Health and Neurosciences, Bengaluru, says that if a person shows zero mobility by six months, that is, if no attempt for therapy has been made by the patient, then the chances for recovery is zero. “We had a 60-year-old patient who could stand six years after stroke, but could not walk at all. So we had to give him botox injections to reduce the spasticity in the muscles and help him walk,” says Srivastava. Also, there is a high prevalence of psychological problems including anxiety, depression and social dysfunction in patients undergoing neurological rehabilitation, say experts. Quality of life of these patients is low, and functional abilities are adversely affected in patients with neurological dysfunction. The correlation between quality of life and functional abilities is significant. Sandeep Keni, 40, a chartered accountant in Pune, suffered a haemorrhagic stroke in 2014 while on his way back home from office. It left his right side paralysed. Today, Keni, 40, can walk but cannot talk as he didn't go for the speech and language therapy. He began the speech therapy early this year. “He had dysphagia—a paralysis of throat muscles leading to difficulty in swallowing, eating and drinking—which declined over time,” says Sonal Chitnis, who did her masters in speech-language pathology from Bharati University in Pune. “But now, he has severe aphasia, which is difficulty in speech, comprehension and language.” Keni was initially frustrated at the speed and level of the therapy being imparted. “But now, he has resigned to the fact that he will have to start from scratch, and be a baby again,” says his mother, Neelima. Another approach is 'PACE therapy', which stands for promoting aphasics' communication effectiveness. It involves talking to a patient in question and answer format. Responses are tabulated on a scale of 0-5, wherein 0 illustrates that the patient made no attempt to answer the question or respond to it, 1 indicates that a partial attempt was made and 5 indicates that the message was conveyed by the patient in the first attempt itself. Questions are communicative in nature, such as what is your phone number starting with the area code, what is the number written at the back of the book, what is your first name and its spelling and do you want a drink. “Keni thought he was so well educated that doing these basic things was very disturbing for him,” says Chitnis. Many people associate rehabilitation with boring repetitive body movements inside depressing hospital spaces or dull exercises at home where nobody seems interested. Many patients tend to drop out midway, either due to boredom, a lack of encouragement or help by family members or caregivers or simply because of a lack of faith in their ability for revival, says Shivashankar. To counter that, a number of newer, fun ways of rehab or post-stroke therapy have emerged. These include aquatic rehabilitation programme, where one can exercise on specialised gym equipment in a temperature-controlled pool, providing the necessary buoyancy and hydrostatic pressure that supports the body and decreases pain while exercising. Virtual reality therapy, which uses video games and moving sensors, is also a hit among patients, says Ravi. Yet, the first question most patients ask is, “Why me?” Nowadays, fit youngsters, who work out or run a marathon are falling prey to strokes. “A patient of mine got a stroke while running a marathon. He was extremely fit. I cannot say why he got a stroke,” says Srivastava. These are people who fall in the category of cryptogenic strokes, which means we don't know why they happen, and almost one third of strokes fall in this category. Other reasons, of course, are smoking, stressful jobs, diabetes, hypertension and cholesterol. Stroke can also happen due to one's genetic buildup. For instance, says Ambekar, Thakur suffered a stroke at an early age because of a predisposition towards antiphospholipid antibody syndrome, which is a genetic condition for blood clotting in the brain. 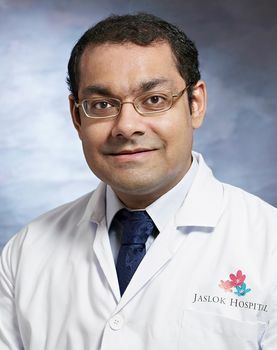 “We have given him blood thinning anticoagulants that he would have to take for lifetime, so as to prevent further clot formations in his body, including the brain,” says Ambekar. The most common type of stroke in India, he says, is middle cerebral artery stroke, in which a patient loses almost all the functions except for vision.